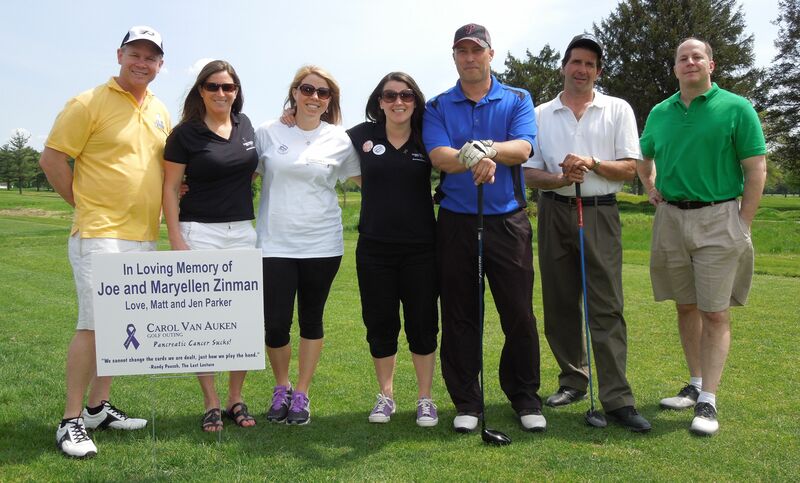 We’re less than two weeks away from The Carol Van Auken Golf Outing! On June 5, 2015, community members and businesses will showcase their support for pancreatic cancer research. Each day, we are gaining additional sponsors for our client’s event – but, we still need more support! There are many different options and levels for sponsorships to accommodate small and large businesses. Click here to view sponsorship options. In addition to sponsorships, you can show support by donating items for the famous silent auction! This year, we already have some amazing auction items, including Disney World tickets, an autographed mini Philadelphia Flyers helmet, Hall of Fame Philadelphia Phillies tickets and more. Click here to donate silent auction items. Last but not least, you can show support by simply attending the event! Proceeds are donated to the Lustgarten Foundation for pancreatic cancer research. It also gives us the ability to host this event year after year. And, don’t worry if you can’t golf! Separate tickets for those only interested in attending the dinner and silent auction portion are available. To purchase tickets, please click here. We’re looking forward to another great year. Thank you for all your support!